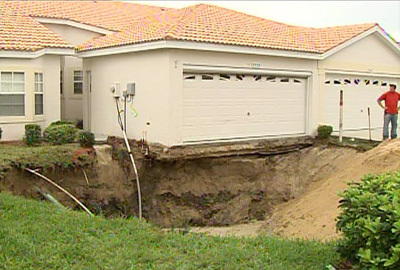 Florida's peculiar subterranean formations create a particularly contentious setting for insurance claims - sinkholes. The handling of these special claims requires knowledge of the unique statutes, regulations and evolving caselaw governing sinkholes; thorough understanding of investigation techniques; command of the science needed to test for sinkhole activity; and, familiarity with foundation remedial methods. Our firm has an established expertise in these often-difficult losses whether affecting a home or some commercial structure, having handled hundreds of such sinkholes claims along with their sometimes misunderstood counterparts - subsidence, erosion and collapse claims. Our services include site inspections, Examinations Under Oath, engineering and geotechnical testing coordination, case presentations before State-appointed neutral evaluators, damage appraisal counseling and all phases of any necessary coverage litigation. Major legislative changes to the process of sinkhole claims investigation were enacted during the 2011 legislative session. We urge you to consult with us for any pending or suspected sinkhole losses to be sure you have considered these new regulations.